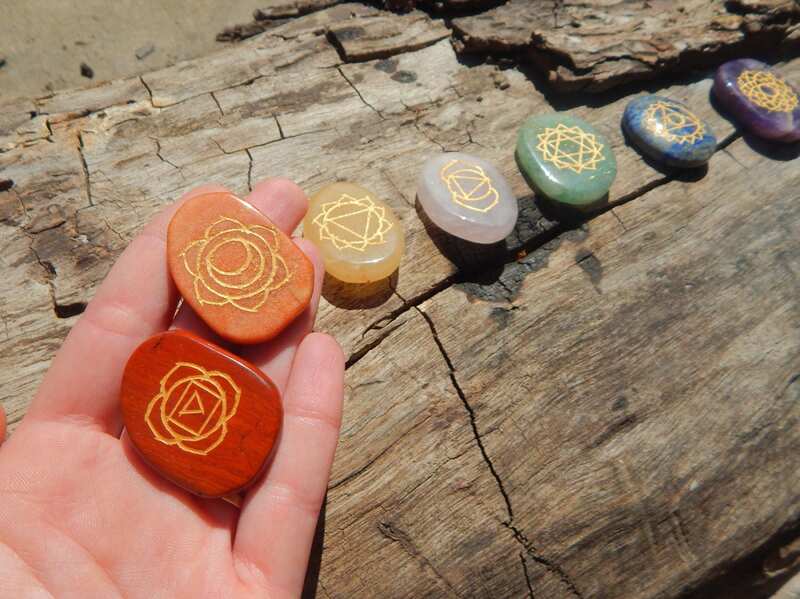 A stunning seven gemstone etched gold Chakra symbol set for reiki use, altar or as a beautiful addition to any crystal collection. 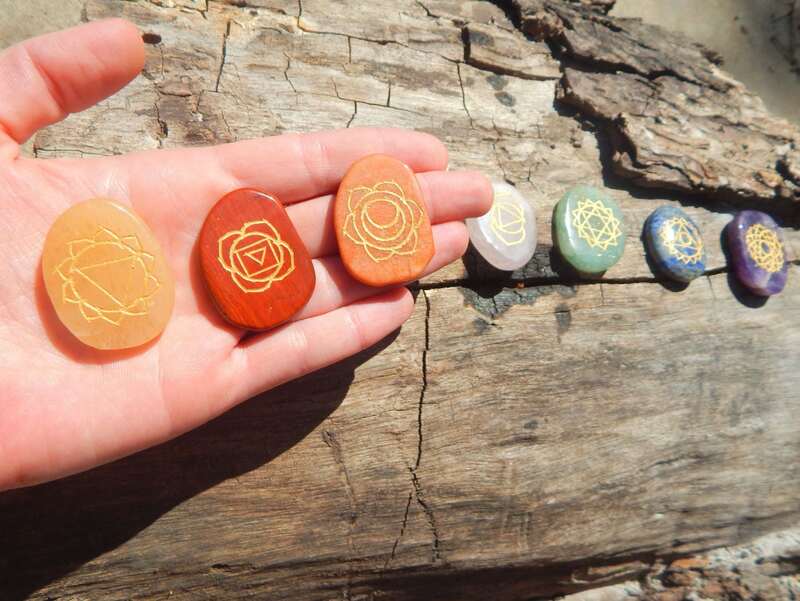 Photos shown for example, stone sizes and shapes will vary. 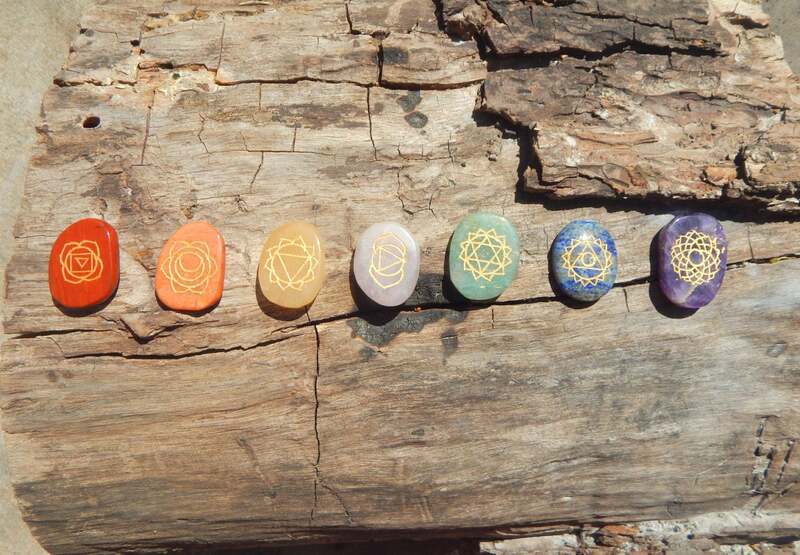 Each stone averages 1.5-2 inches in diameter. 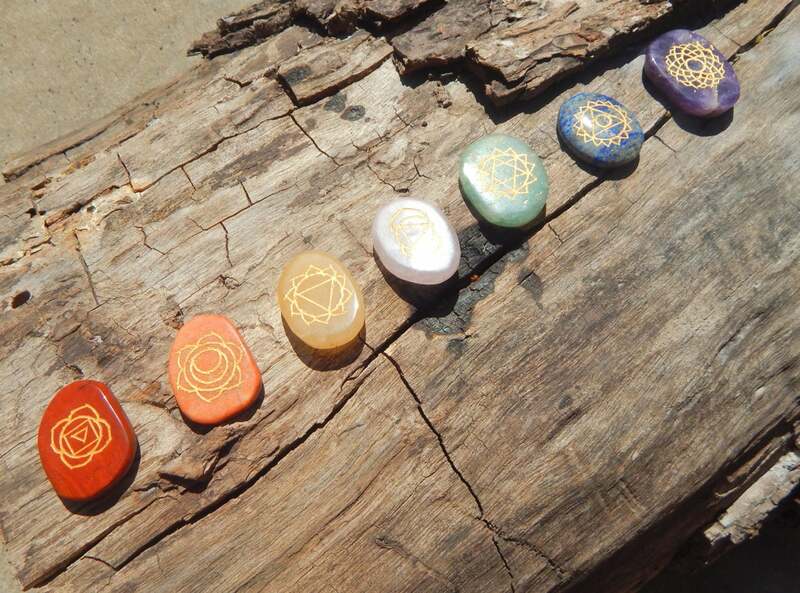 This set consists of the 7 primary chakra symbols, each etched onto a natural gemstone. 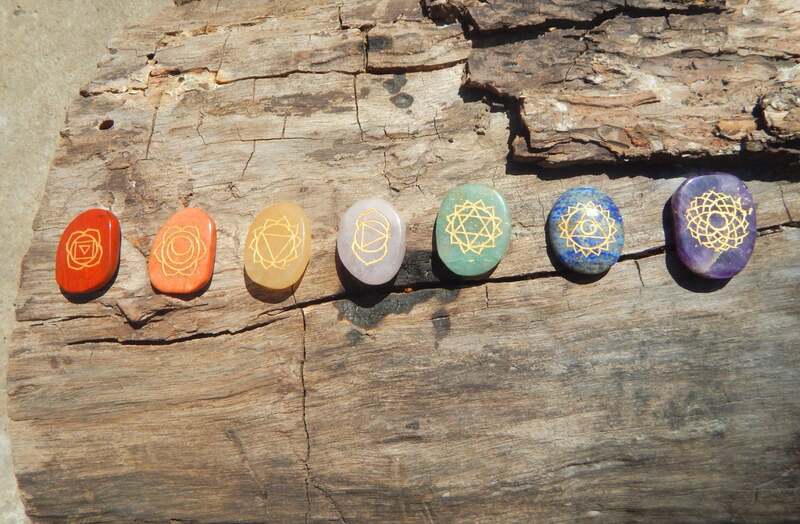 You will receive one Amethyst, etched with the symbol Sahasrara (Crown chakra), one Rose Quartz, etched with the symbol Ajna (Brow chakra), one Lapis Lazuli, etched with the symbol Vishudha (Throat chakra), one Aventurine, etched with the symbol Anahata (Heart chakra), one Citrine, etched with the symbol Manipura (Naval chakra), one Peach Jasper, etched with the symbol Svadhisthana (Sacral chakra), and one Red Jasper, etched with the symbol Muladhara (Root chakra).